August 2018 U.S. Plant Patent No. 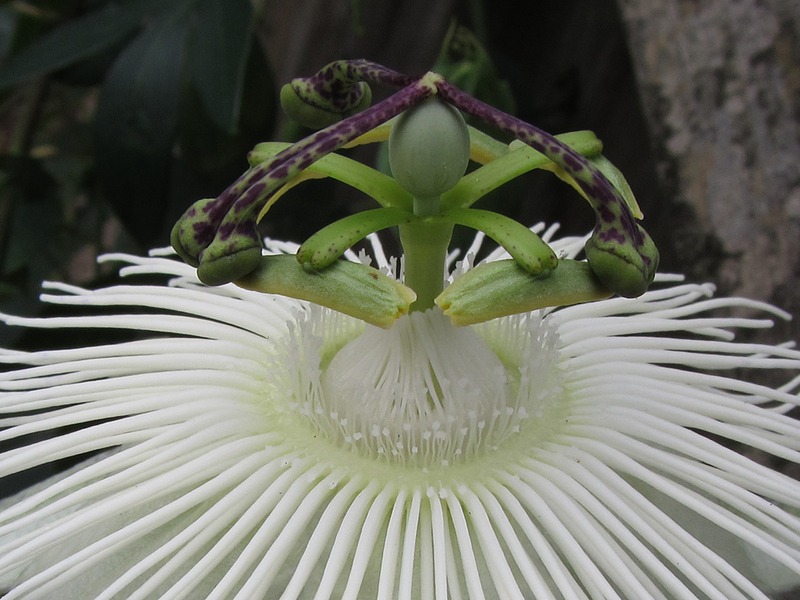 29,608 granted by USPTO for the Riverside® Hybrid Passiflora ‘Snow Queen’PVR. Plantarium Trade Fair 2017 Riverside Hybrids Passiflora ‘Damsel’s Delight & Passiflora ‘Snow Queen’ both selected for the prizewinning FleuraTerraza range by Dutch climber specialists Van der Starre. Protection Status: Plant Breeders Rights (48,160) granted. U.S. Plant Patent No. 29,608 granted. RIVERSIDE® is a Registered Trademark. 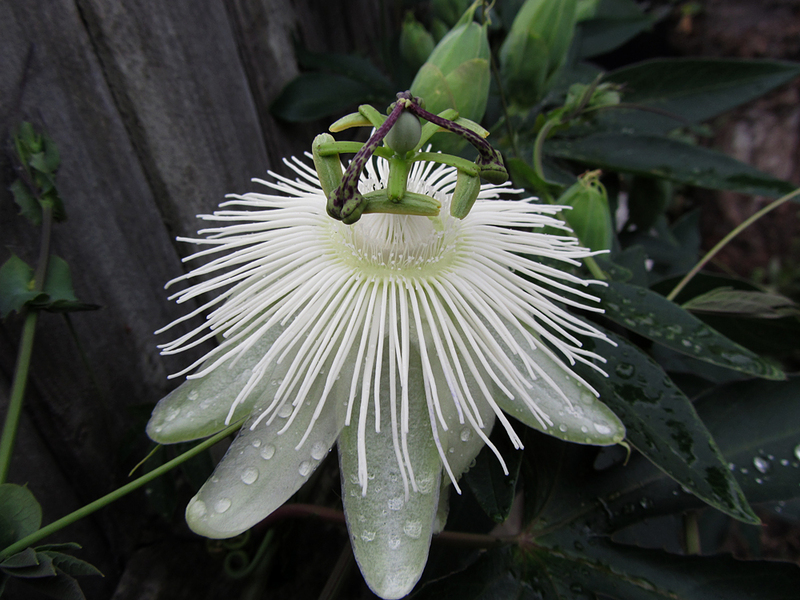 Vigorous and spectacular climber which uses tendrils to cling to its host plant or support. 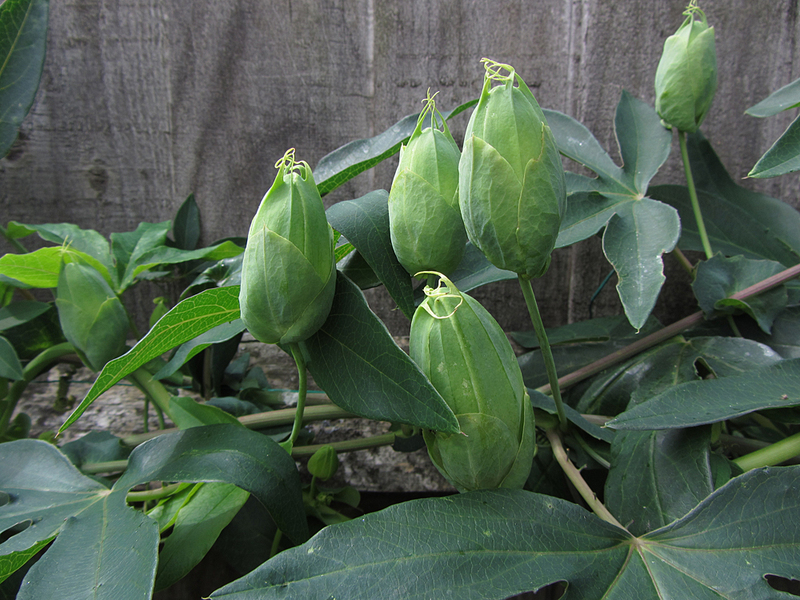 This is a spectacular newly released garden worthy hybrid which thrives well in a wide range of conditions. The complex flowers are produced from late Spring onwards and the biblical connections always make them a talking point. Strong flower up to 12cm in diameter, corona filaments up to 8cm, lovely strong scent, reflexes; stays open for several days. Bloom: Large pure white flowers with striking strong filaments. Additional Comments: Polyploid. Occasional large decorative green fruit ripening to yellow orange, fruit inedible. It flowers even as a small cutting, holds on to its leaves well over winter and produces many flowers a day for months on end. In the right conditions it will flower year round. 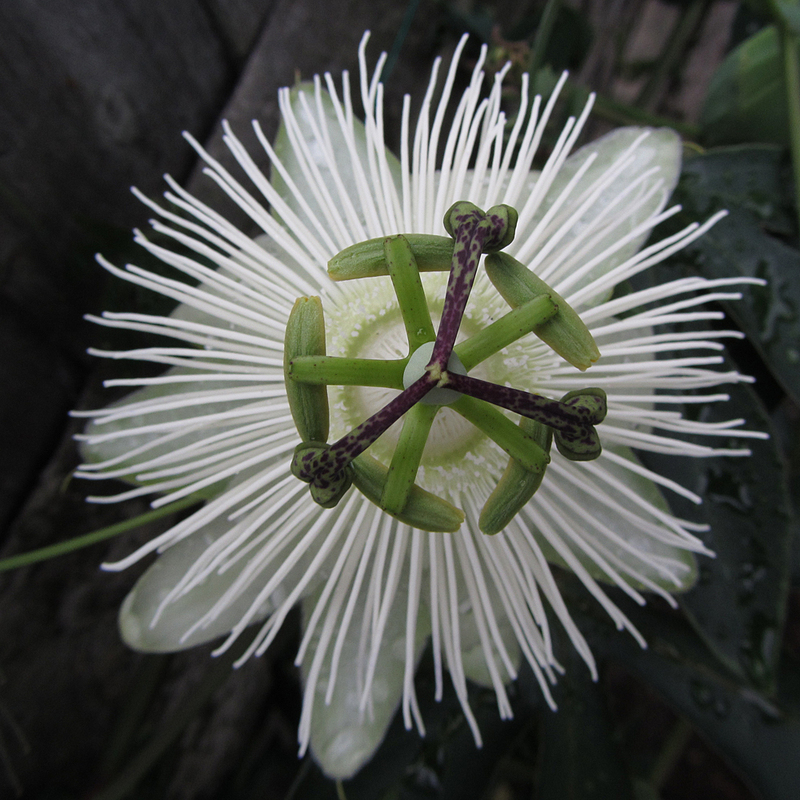 Passiflora ‘Snow Queen’PVR was named in honour of my dear friend Natalia Walaszek. Additional Comments: Polyploid. Occasional large decorative green fruit ripening to yellow orange, fruit inedible. It flowers even as a small cutting, holds on to its leaves well over winter and produces many flowers a day for months on end. In the right conditions it will flower year round. 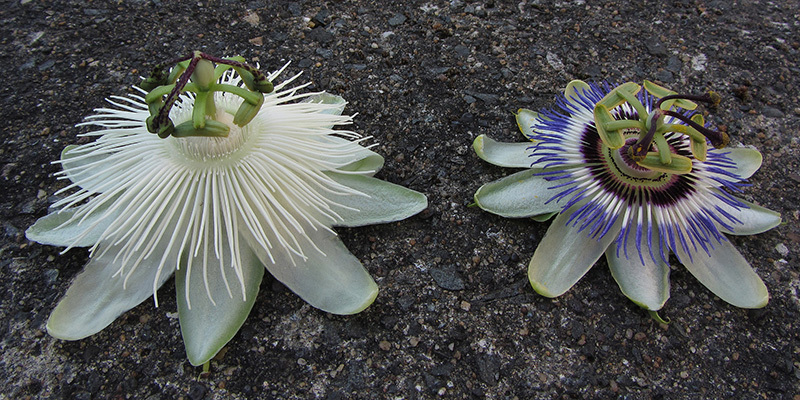 Passiflora ‘Snow Queen’ was named in honour of my dear friend Natalia Walaszek. 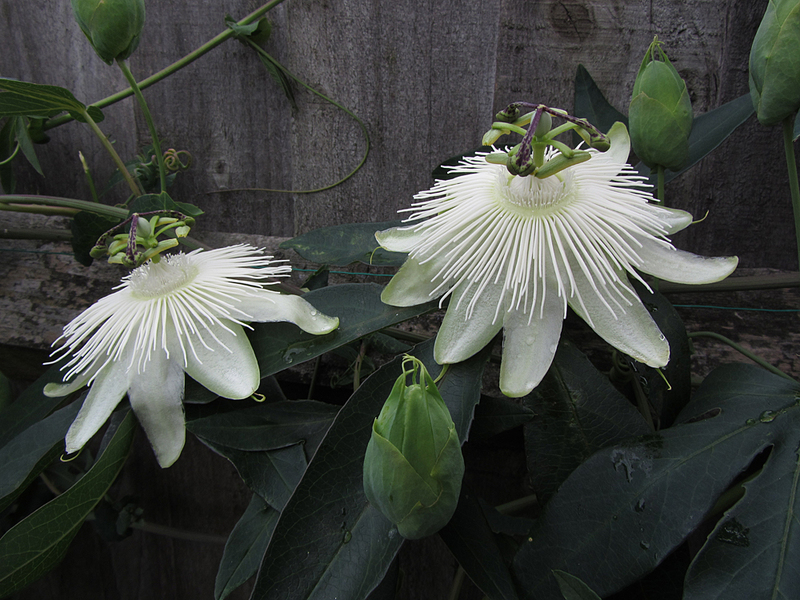 Closest Variety and Key Differences Passiflora ‘Snow Queen’ is a stunning, hardy, pure white hybrid which is a great improvement on the ever popular P. ‘Constance Eliott’, which has smaller flowers and is more prone to virus problems.